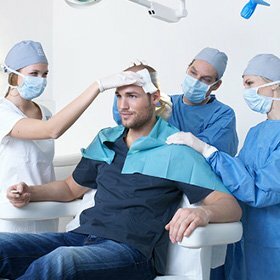 Based on scientific findings, the Single Hair Transplantation is the only effective method to correct receding hairlines, balding temples, tonsures, and thinning hair. A hair transplantation utilizing the KÖ-HAIR method is currently one of the most demanded treatments in plastic aesthetic surgery. It is rated as the second most demanded cosmetic correction amongst men. 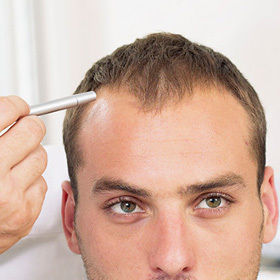 This is not surprising considering that balding temples and receding hairlines are often stigmatized, while full heads of hair seem to represent health, attractiveness, vitality, and success. 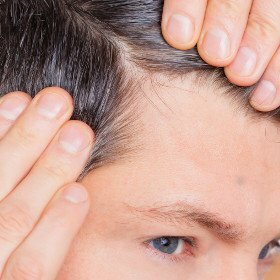 A receding hairline is a special kind of hair loss. In this connection it means that the natural hairline moves back at the temples. 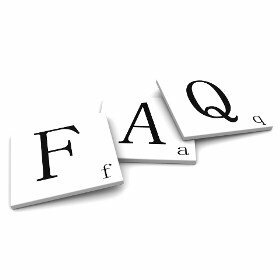 The correct medical term is androgenetic hair loss, which may also arise at the forehead. 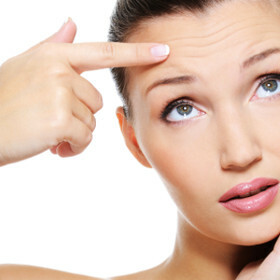 Already during the youth receding hairlines may occur with both, men and women. Very often a hairline that becomes balder and balder is a problem to those people who are concerned as the social esteem is very much focused on full hair of head and an aesthetical-looking hairline. Losing hair is a natural process of the body as the hair renews itself regular and continuously. However, according to the medical science the loss of 100 hairs per day is already a sign of pathological hair loss. From a biological point of view the human body does not need the head and body hair but with regard to the social and the psychological point of view it plays a certain role nevertheless. In our culture full hair of head is a symbol for beauty, aesthetic and self-confidence. A permanently flawless and hairless skin is one of those beauty ideals that apply especially to women but increasingly also to men. 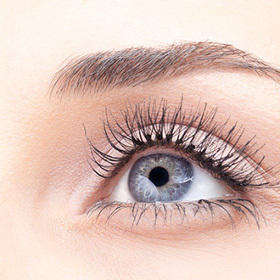 According to today’s common aesthetic aspects more and more people wish to remove undesirable hair in their face or at body parts like the armpit, arms, legs, chest, back or the genital area by using depilation methods. According to a study of the University of Leipzig among young adults, about 97 percent of the women and 79 percent of the men decide to have removed at least one part of their body hair (status as of 2008). The natural hair is often perceived as a flaw. 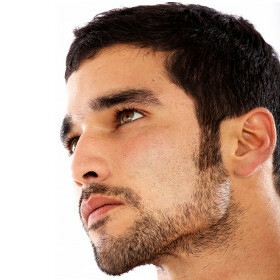 The aim of a professional and permanent hair removal is, however, a flawless, beautiful skin without “disturbing hair”.